An Interview with Paul Farrant | Keikari.com An Interview with Paul Farrant | On classic men's style, elegance and the beautiful life. VR: Your age and occupation ? PF: I attended St. Chris in Letchworth, Hertfordshire. A forward-thinking, co-educational, vegetarian boarding school. After a short spell working for my grandfather’s engineering company I was fortunate enough to be offered a position, aged 20, at the Dorchester Hotel in London. PF: Yes, I am married to Jackie and we have two teenage children. Olivia & George. I think it would be fair to comment that they tolerate my vintage clothing obsession. There are advantages as the 3 of them have all benefited from some special pieces. As I am in contact with a lot of the dealers I come across women’s items as well as men’s. 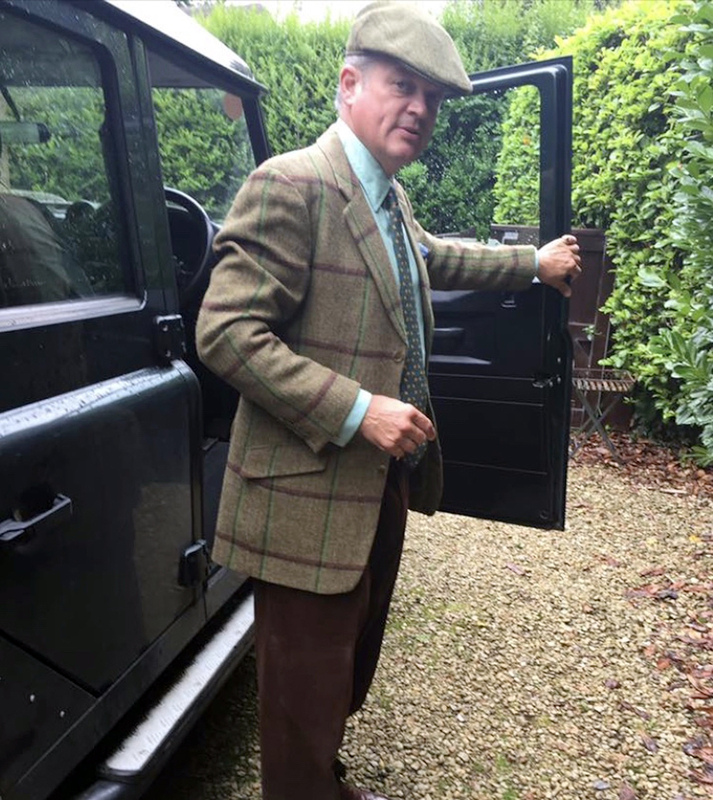 Jackie has some vintage Huntsman, Henry Poole, Dege and Skinner and numerous furs. Recently I was walking along Jermyn Street with Olivia & George. I had a Gelot fedora on. George a beanie hat. Someone stopped us and advised George that he should take some style advice from his father. As can be imagined, George has not taken up the advice of the passerby. I owe a lot to my mother. She has to take credit for being such a fine role model. Now in her 70s, she is still most elegant. My grandfather spent a lot of attention on his clothes too. His tailor was Airey & Wheeler in Piccadilly. PF: I enjoy fishing with George. I manage to include some vintage equipment especially when fly fishing. Sometimes using vintage is a big disadvantage, though. Last year I snapped a rod and lines, as lures and nets weaken over time. My love of good food and fine dining has led to my collection of vintage menus. Although I have stopped adding to this. They are starting to be included on one of three of my Instagram accounts, vintage_menus. I am very pedantic about quality of ingredients and presentation. After my early years at the Dorchester I worked for the Royal Household. My position here was involved with food supplies, presentation, menus and seating planning. My other Instagram account is vintage_clothing_labels. On this account I post interesting labels of vintage pieces of mine and others, such as Hornets and Hogspear. I used to horse ride a lot, but don’t get the opportunity so much now. 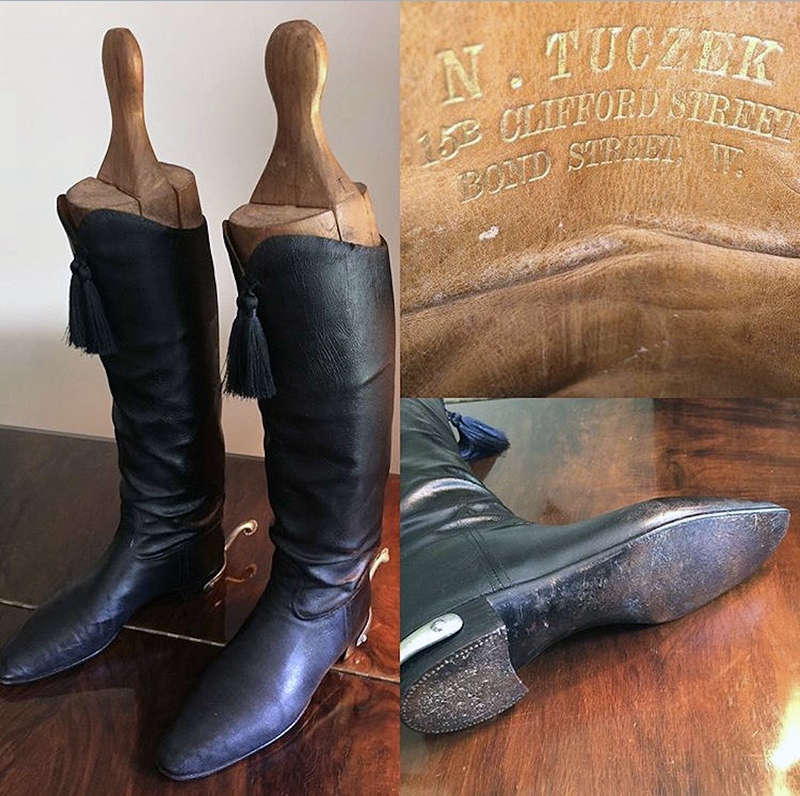 I have kept my riding ‘kit’.1957 Lobb’s boots and 1947 Huntsman riding breeches. I recently sold my hunting pink swallow tails made by French C1900 of Kilgour, French & Stanbury to an American collector. VR: How did you first become interested in style, and when did you first turn your eyes to the classics? PF: I have enjoyed a more formal and classic style from as early as around 10 years old. 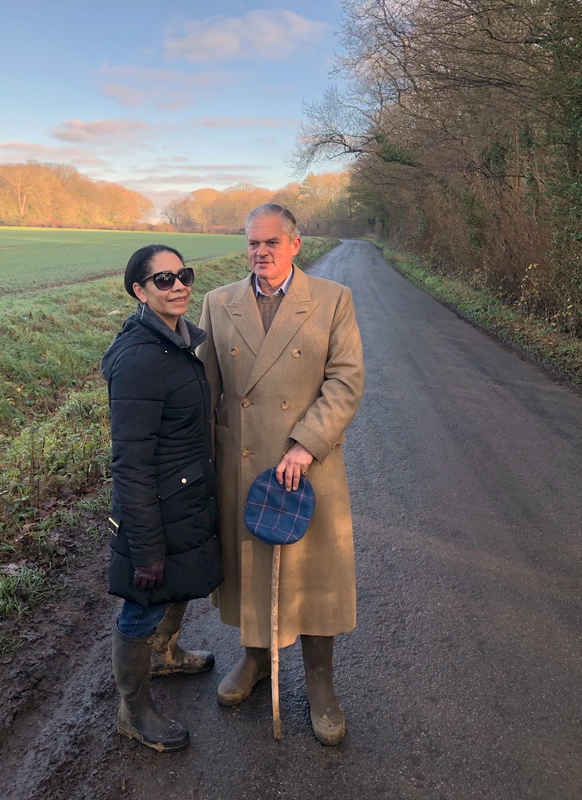 My mother reminded me, over the recent Christmas holiday, how she bought me a Harry Hall tweed hacking jacket when I was 11. Apparently I wouldn’t take it off and paraded around like a peacock. My first job at the Dorchester Hotel continued with the formal dress theme. In the front office, in those days, we wore full morning dress during the day. This was with starched detachable collars too. During the evenings we changed into black tie. 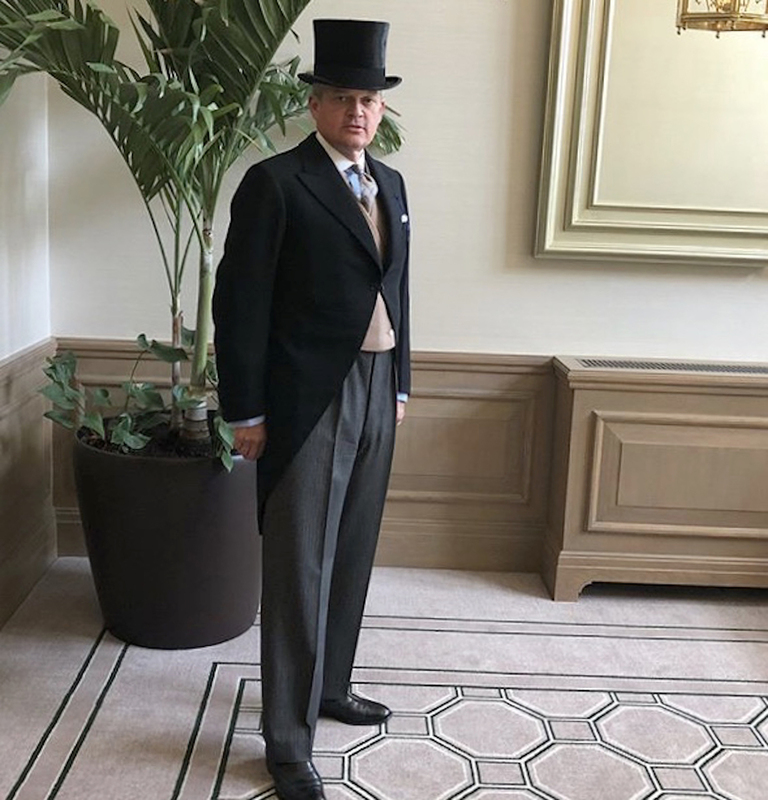 During my time at Buckingham Palace we wore morning dress for the day and white tie in the evening during State visits. I have always preferred a more structured cut, such as Huntsman. While I can see the benefits of a more softer cut, giving ease of movement, such as Anderson & Sheppard, they don’t suit my shape as well. VR: How have you gathered your knowledge of the vintage look — from books, talks with salesmen or somewhere else? PF: I suppose the largest influence during my earlier years was regularly trawling through charity shops. 30 plus years ago, before access to the Internet, one could pick up some treasures at very reasonable prices. This has very much changed. The quality pieces do not come through and prices are higher. Though there are still bargains to be found. It’s just harder and more time consuming. My ‘strike rate’ is rapidly decreasing over the years. On the plus side we now have eBay. I check this every day. John Morgan of Hogspear has to be a favourite. He still manages to locate some goodies from private house sales. My friends at Hornets in Kensington are valuable for an opinion. Bill Wilde has a wealth of knowledge and we frequently chat over a glass or two in the local pub. During my working life I have been fortunate enough to work with two royal valets. 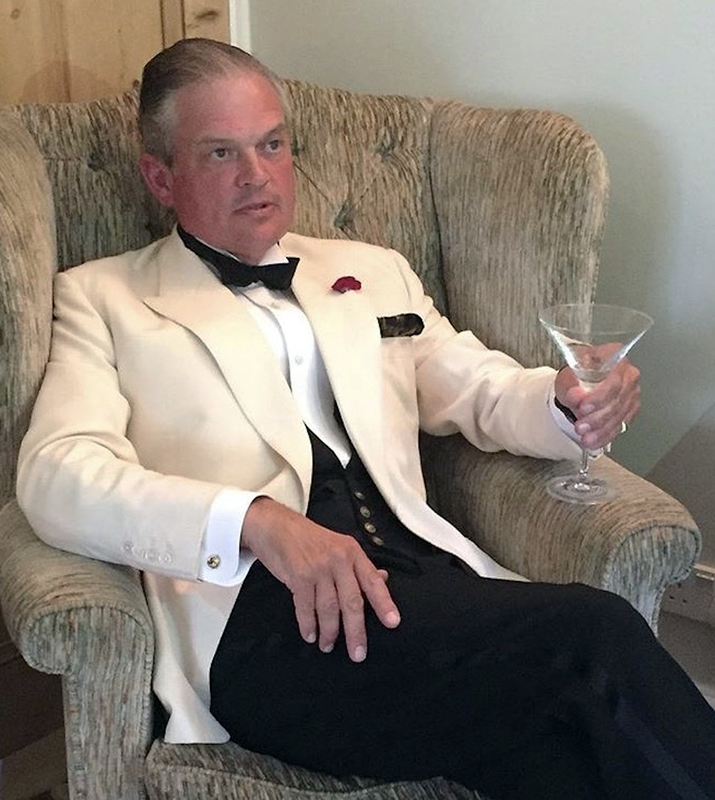 Sydney Johnson was valet to the Duke of Windsor. I knew Sydney from my Dorchester days when he was then valet to the Sultan of Brunei. During my time travelling with the Court I met Michael Fawcett. Then valet to the Prince of Wales. Michael would give me lessons on various aspects of maintaining a wardrobe and dress style. At Sandringham, one Christmas, we painstakingly went through all the various ways of presenting a pochette in the top pocket of a coat. Note coat, not jacket. Potatoes have jackets! And of course Billy Tallon was often present at our gatherings. Backstairs Billy as he was known. Page to HM the Queen Mother. A most diverting character. PF: I am neither a follower of past fashion or future fashion. Just somewhere in between. VR: Among so many companies you’ve tried, which artisans or RTW do you favour and why these? 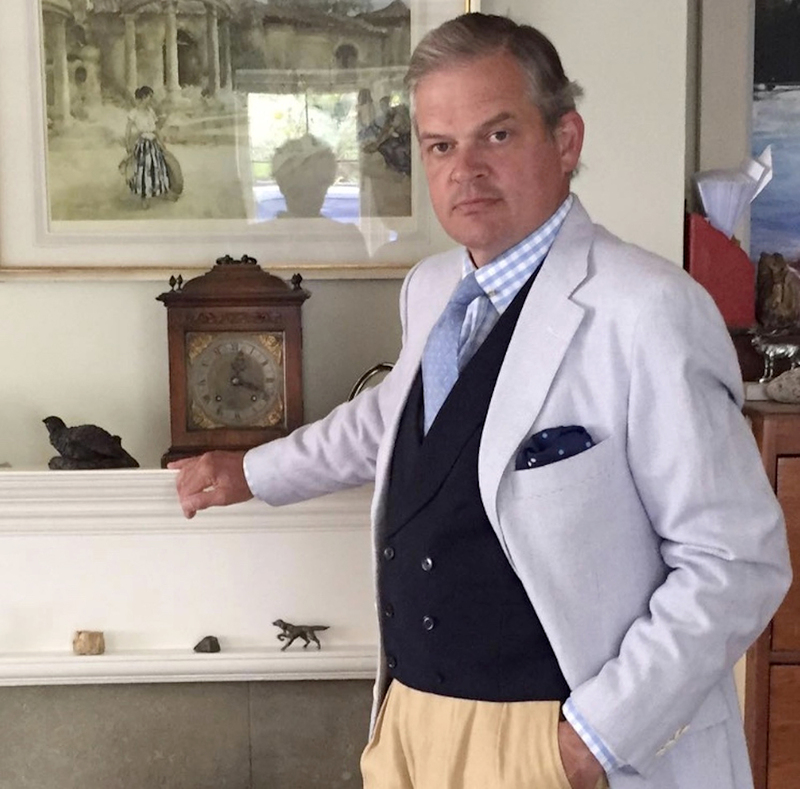 PF: My collection now has been honed to such an extent that I now have mostly Savile Row pieces. About 30 lounge suits. During my 20s I favoured Hackett and Chester Barrie. Hackett I have a great fondness towards as I bought from them in New Kings Road in the mid ’80s. Chester Barrie offered great quality and their 40 reg fitted me like a glove. They made for Turnbull & Asser and Huntsman too. Two of my preferred outfitters. Oliver Brown and Herbie Frogg were RTW favourites too. Simpson’s always for cashmere jumpers. Tremendous quality and value in the seasonal sales. For suits and topcoats I prefer Huntsman & Sons and Dege & Skinner. There are others on the Row as equally as good, but these two I have had an acquaintance with for many years. VR: Have you any particular style or cut philosophy behind the clothes you collect and wear? PF: I am fairly open on all styles other than the Italian cut. It does not do for me at all. Too heavy on the shoulder and square. I prefer a double vent, too, on a coat. When wearing a suit I usually wear braces. Always when wearing a vest. 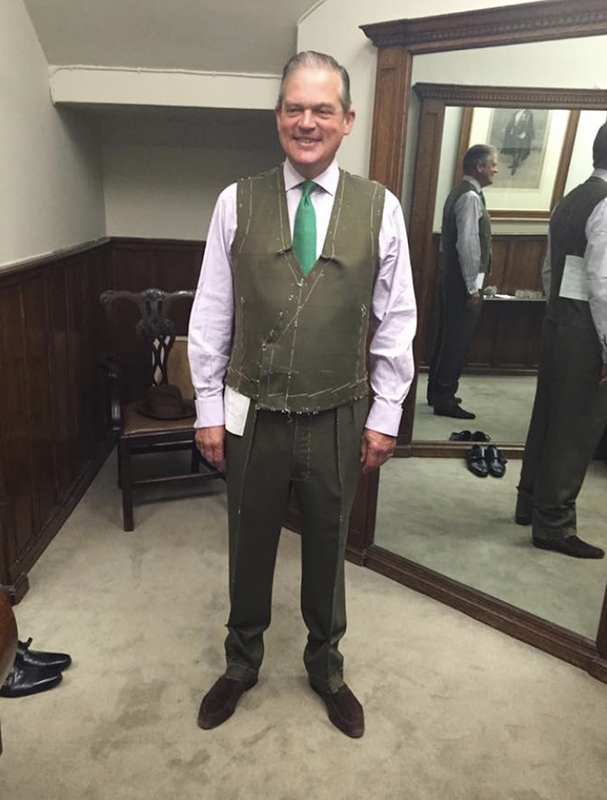 There’s nothing worse than seeing a gap (usually with a bit of shirt fabric) between the top of the trousers and the bottom of a vest (waistcoat). The other ‘no, no’ is wearing a belt and braces. Hard to believe, but I have seen it! 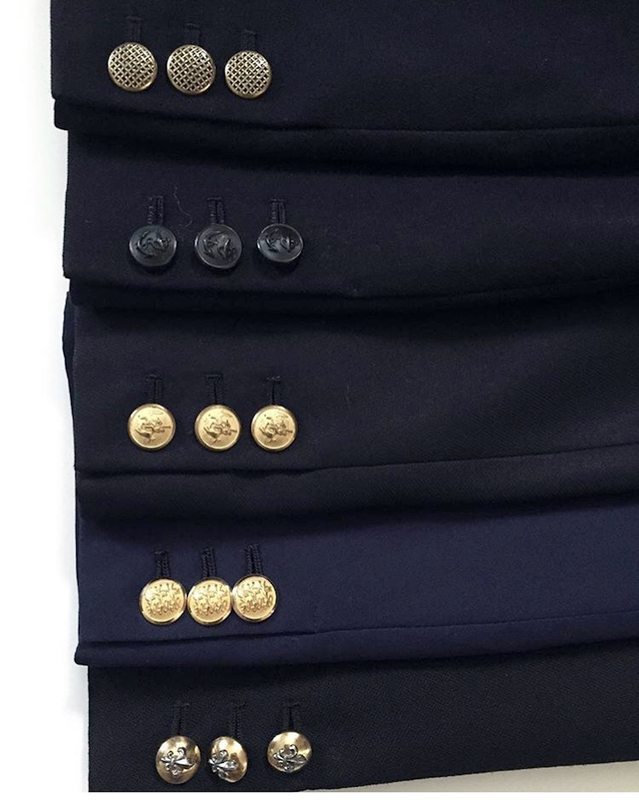 All in all I subscribe to the best quality fabrics and workmanship in a classic Savile Row style. Other than Purdey, Ray Ward and Holland & Holland I am beyond designer names. I have given my Gucci and Hermes belts etc., to my teenage children. 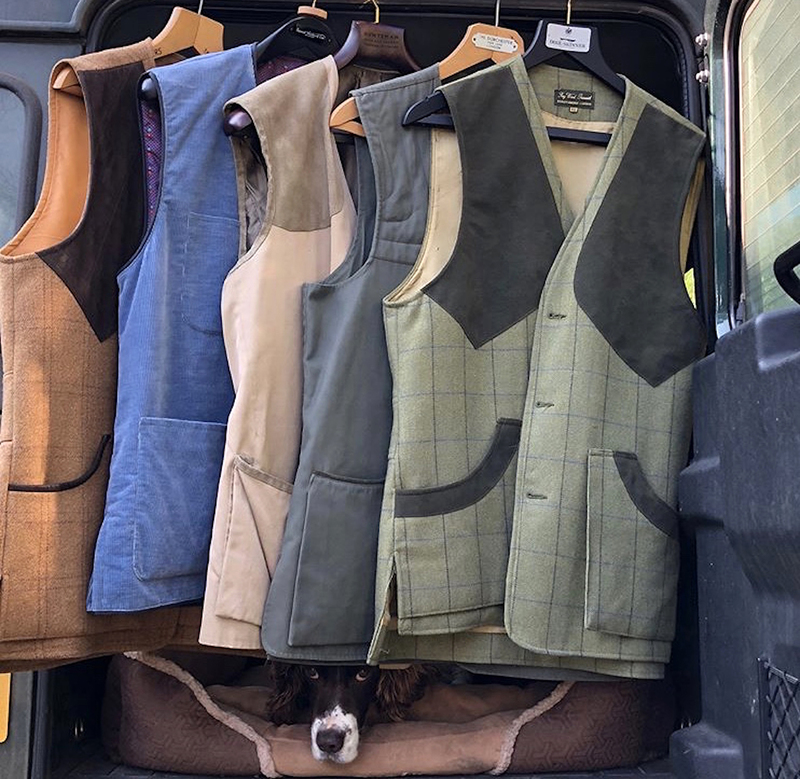 They seem to enjoy wearing Purdey and Holland & Holland too. George has all my Ralph Lauren Purple Label now. PF: This is pretty straightforward to answer. Who would be The Duke of Windsor. Ahead of his time in many respects. What would be craftsmanship and fabric quality. Vicuña being the king of fabrics. For tweed it has to be the Islay Woollen Mill. PF: I think I have to borrow a quote from Hardy Amies on this. It is something I try and adhere to. A man should look as if he has bought his clothes with intelligence, put them on with care and then forgotten all about them. VR: Finally, given your knowledge on the subject why should Keikari’s readers consider vintage tailoring? PF: At the end of the day it’s each man, or woman, for their own. What goes around comes around. I’ve seen some big named hitters buying vintage to replicate or at least for ideas. As the great YSL put it ‘ fashions fade, style is eternal’.